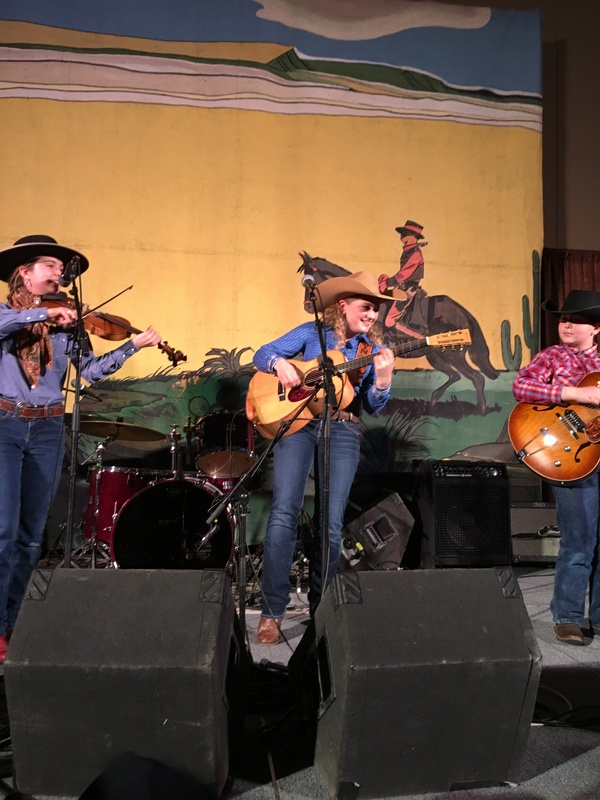 Unfortunately, the iPhone photo doesn’t do this Elko show justice: Brigid Reedy, Kristyn Harris and Johnny ‘Guitar’ Reedy, guaranteeing some youth for the future of the Gathering. This entry was posted in Elko, Photographs. Bookmark the permalink. Looks like a great group!! How’s the weather there. Raining all day here. Pretty tame, so far. 39 degrees @ 6:30 p.m.